Ka-Bloom! This better bandana features a floral explosion of turquoise, yellow, pink and orange. Rock the rag as a headband, neck gaiter or face mask to keep your face and neck protected from the sun, wind, and cold. Love the print, reminds me of a late 60’s design and color combo. The blue background color is more accurate on the model than the first pic, it’s lighter. Over all happy with this Hoorag. 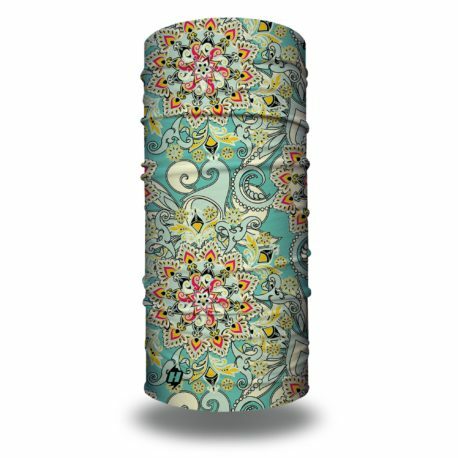 Love this paisley style pattern! Such cute pattern! M 10 year old daughter and I love to wear this. My daughter wears it stretched out to cover her hair and I love it as a headband. I will be buying more for sure! This is my 2nd Hoo; I have the beautiful disaster one, too! I have shorter hair that headbands don’t always keep everything out of my face. I also dye my hair and the Hoo is perfect for protecting my dye job from the sun. Helps reduce fading of my expensive dying habit! Again, headbands won’t protect my color from the sun! The quality is great! I have a small head and these fit snugly, don’t stretch out or fade over time (even after tons of washing) and are super versatile. I wear it at the pool, beach, occasional camping, washing my face, doing yoga, etc.! We own about 5 full Hoo Rags and 5 half Hoo Rags. We love the variety, cost, and quality. This one is perfect for fishing and I love the look and feminine colors! It matches almost any color outfit, whether it be for the beach, the springs, or a day of fishing. Maybe make a kids version that small women and children can wear. I know many families with UTV’s take their kids along and these would be great so the kiddos don’t have to inhale all the dust. My wife and daughter love this print, wear it all the time. So this was my 1st Hoo-rag purchase and I absolutely love it! The colors go great with anything and the rag itself is so versatile that my 18mos old girl can wear it! I posted some photos wearing it and within a day some of my relatives were inquiring where to get theirs! Now there is 3 of us sporting them around town! 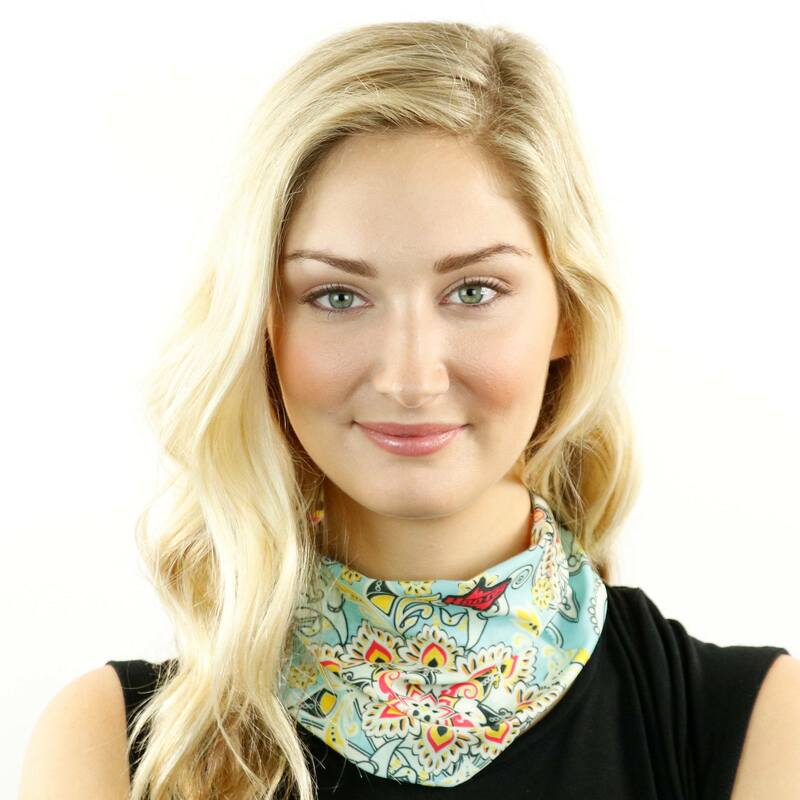 You can use it has a headband, hairwrap, ponytail holder, face cover, neckwrap………the list goes on and on! So much bang for your buck! So this was my 1st Hoo-rag purchase and I absolutely love it! The colors go great with anything and the rag itself is so versitle that my 18mos old girl can wear it! I posted some photos wearing it and within a day some of my relatives were inquiring where to get theirs! Now there is 3 of us sporting them around town! 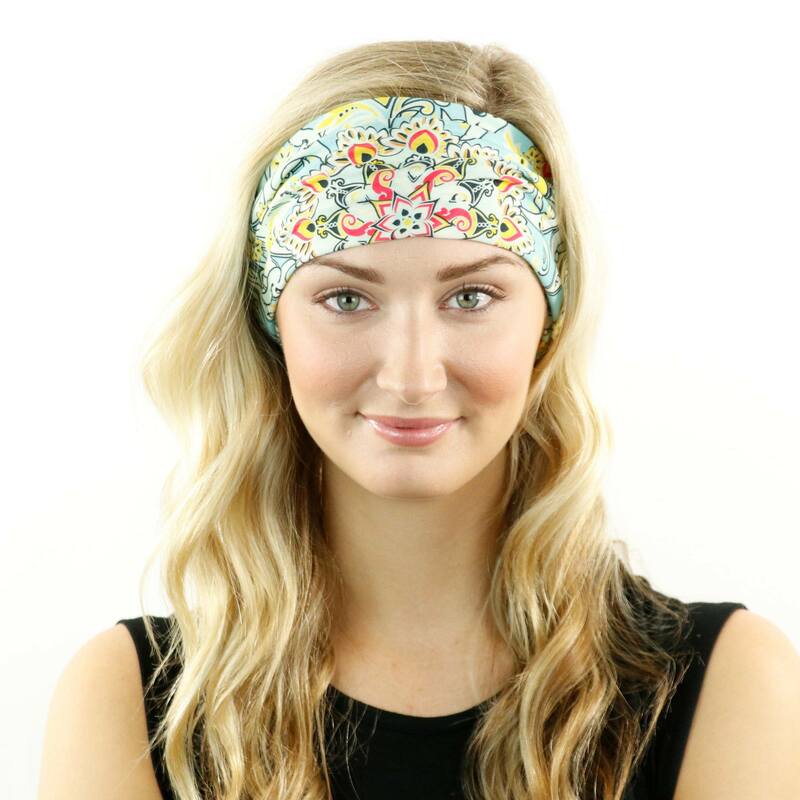 You can use it has a headband, hairwrap, ponytail holder, face cover, neckwrap………the list goes on and on! So much bang for your buck! Woo Hoo, I love this Hoo Rag design! These gorgeous, more feminine colors go great with any color T-shirt to add a little touch of va-voom to a casual outfit. I have about a half dozen of these Hoo Rags because they’re a great product that I use daily: as a neckerchief while motorcycle riding, a hairband while out working in the garden or washing my face, a face mask on cold winter days; I even put one on my dog to keep better track of him while hiking through the woods.